According to an internal FCC Enforcement Bureau (EB) memorandum, the Bureau plans to ask the full Commission to cut two-thirds of its field offices and eliminate nearly one-half of its field agents. At the same time, the Bureau would develop a so-called "Tiger Team" of field agents as a flexible strike force it could deploy as needed. In the March 10 memorandum to Enforcement Bureau field staff -- obtained by ARRL and others -- EB Chief Travis LeBlanc and FCC Managing Director Jon Wilkins cited the need to take "a fresh look" at the Bureau's 20-year-old operating model in light of technology changes and tighter budgets. ARRL CEO David Sumner, K1ZZ, expressed dismay at the proposals. "The ARRL is concerned that there is already no sense of urgency in the FCC's enforcement activities targeting spectrum polluters, such as utilities with noisy power lines, or the few violators in our own ranks," Sumner said. "It is troubling to see recommendations for such drastic reductions in the Commission's geographic footprint and the number of field agents at a time when the Field staff is facing ever-increasing challenges." The EB and the Office of the Managing Director initiated an effort last fall to modernize the Bureau's field operations, the memorandum said. "This project sought to ensure that the Field's structure, operations, expenses, and equipment were properly aligned with the Commission's overall mission and resources," LeBlanc and Wilkins said. The Commission hired outside consultants to analyze the EB's current "operating model," gathering input from employees, outside experts, and internal and external stakeholders. Under its "Phase I" field modernization scheme, the Bureau will recommend to the full Commission that it adjust the primary focus of its reduced field office complement to RF spectrum enforcement. The EB will also recommend "adjusting" the number of field agents from 63 to 33. To compensate, part of that field staff complement would include what the EB called a "Tiger Team" of agents "flexible enough to support other high-priority initiatives." Under the plan, all field agents would have to have electrical engineering backgrounds "to support the primary focus on RF spectrum enforcement." The Bureau will also propose standardizing its investigatory and sanctioning processes. FCC Managing Director Jon Wilkins testifies before the US House Subcommittee on Communications and Technology on March 4.
plan would be New York City; Columbia, Maryland -- the site of the Bureau's HF Direction-Finding Center; Chicago; Atlanta; Miami; Dallas; Los Angeles, and San Francisco. The EB would deploy equipment in or near several other cities, initially to include Kansas City, Salt Lake City, Phoenix, Seattle, San Juan, Anchorage, Honolulu, and Billings, Montana. Part of the plan calls for the EB to establish "beneficial partnerships between the Field and other organizations that may support increasing our effectiveness." During a March 4 US House Subcommittee on Communications and Technology Committee hearing on the FCC's FY2016 budget, Rep Michael Pompeo (R-KS) pressed Wilkins on whether the FCC intended to close any field offices and eliminate any personnel. 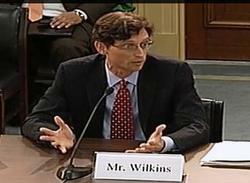 Wilkins attempted to dodge offering a direct answer, and hedged on whether any cuts were planned. He also said the Bureau had not yet received a final report from the outside consultant it had worked with. US Rep Greg Walden, W7EQI (R-OR), chairs the subcommittee. Now that the ARRL's new Legislative Issues Advocacy Fund is in place, ARRL Hudson Division Director Mike Lisenco, N2YBB -- who proposed the fund -- hopes it will fuel a heightened campaign of congressional advocacy on issues important to Amateur Radio. On behalf of the members of his Division, Lisenco earlier this year presented ARRL President Kay Craigie, N3KN, with an inaugural $4500 Fund donati on, which she matched. The primary goal of the ARRL Legislative Issues Advocacy Fund is educational, Lisenco explained. "We want to heighten Amateur Radio's visibility in Congress and to establish its brand in the minds of today's lawmakers, so we don't have to be reactive when it comes to our relationship with the federal government," Lisenco said. "It's not enough just to have a Spectrum Defense Fund. We must be recognized as effective advocates for Amateur Radio in Congress." The immediate focus of the Legislative Issues Advocacy Fund will be the recently introduced "Amateur Radio Parity Act of 2015," officially known as H.R. 1301. US Rep Adam Kinzinger (R-IL) introduced the bill March 4 with seven Republican and five Democratic co-sponsors. Last summer Kinzinger sponsored an essentially identical piece of legislation, which died at the end of the 113th Congress. "We're going all out for this bill," Lisenco said. "Last year, we got a late start and still picked up 69 co-sponsors. This time, we're starting early and have the entire congressional session to get this done. In addition to getting as many co-sponsors as we can in the US House, we'll be trying to get a companion bill going in the US Senate. But this effort will take money." ARRL Hudson Division Director Mike Lisenco, N2YBB. If Congress approves H.R. 1301, and it is signed by the president, the legislation would compel the FCC to amend the Part 97 Amateur Service rules to apply the three-part test of the PRB-1 federal pre-emption policy to include homeowners' association regulations and deed restrictions, often referred to as "covenants, conditions, and restrictions" (CC&Rs). At present, PRB-1 only applies to state and local zoning laws and ordinances. The FCC has been reluctant to extend the same legal protections to private land-use agreements without direction from Congress. Lisenco stressed that the Legislative Issues Advocacy Fund is not simply for this particular piece of legislation and that additional actions on the part of Congress or federal regulators could also affect Amateur Radio. "We have to have an ongoing relationship with members of Congress and their staff members," he said. "They need to know that Amateur Radio is alive and well, and flourishing in the 21st century." Lisenco pointed out that there are many more licensees today than during the 1950s and 1960s -- which some consider the Golden Age of Amateur Radio. "The Golden Age of Amateur Radio is today," he said. "We're experimenting with cutting-edge technology, and we provide a service to the community." But, he added, if the League does not take steps now to ensure Amateur Radio's future, "there may be no future." The Legislative Issues Advocacy Fund welcomes your support. For more information, contact Lauren Clarke, KB1YDD, tel 860-594-0348. The ARRL has an H.R. 1301 resources page on its website. The ARRL has told several US House and Senate members that the 10 GHz band, where the Amateur and Amateur-Satellite services have allocations, is not a suitable place to expand wireless broadband. Three Republican and three Democratic lawmakers wrote FCC Chairman Tom Wheeler on March 2, asking the Commission to "explore potential sharing opportunities within the 10 GHz band" to alleviate "the well-documented spectrum crunch." The primary allocation of 10.0-10.5 GHz is for federal radiolocation, with Amateur Radio secondary in the entire band and Amateur-Satellite secondary at 10.45 to 10.50 GHz. The League pointed out that plans for additional sharing are already in the works. "Based on extensive compatibility studies conducted during preparations for the 2015 World Radiocommunication Conference (WRC-15), additional sharing for an important scientific purpose is already planned," ARRL CEO David Sumner, K1ZZ, pointed out in a March 4 letter to the Congress members. Sumner explained that several years of work went into an agreed-upon US proposal at WRC-15 for a primary allocation at 9.9 to 10.5 GHz for the Earth Exploration Satellite Service (active), "subject to appropriate protections for incumbent services." Sumner said the ARRL is satisfied that the Earth Exploration Satellite Service (active) "can be accommodated in the band without causing intolerable harmful interference to the Amateur Service," while the same would not be true for wireless broadband. "Accordingly," he concluded, "the ARRL opposes the introduction of wireless broadband into the 10 GHz band." "A request by a wireless broadband equipment manufacturer to permit broadband was considered but could not be accommodated," Sumner added. That manufacturer, Mimosa Networks, filed a Petition for Rule Making (RM-11715) in 2013 that the FCC put out for comment last year, seeking the allocation of the band for what it has called "lightly licensed fixed wireless broadband use." Mimosa's petition included a band plan for 10.0 to 10.5 GHz that would cede to Amateur Radio and Amateur-Satellite users just two small segments of the present allocation. The company claimed its proposal would protect the 10 GHz frequencies most often used by radio amateurs. The FCC has not acted on the Petition. The ARRL told the FCC that Mimosa's Petition to permit unlicensed wireless broadband services in the 10.0-10.5 GHz band was "fatally flawed" and should be dismissed. Sumner noted that the FCC already has initiated a proceeding to identify spectrum above 24 GHz that can be designated for mobile wireless broadband, including additional spectrum that could be authorized on an unlicensed basis. Democratic House members Doris Matsui and Anna Eshoo, both from California, and US Senator Cory Booker of New Jersey, joined Republican House members Brett Guthrie of Kentucky and Robert Latta of Ohio, and US Senator Marco Rubio of Florida in signing the March 2 letter to Wheeler. "Sharing opportunities in the 10 GHz band could make more spectrum available and provide another avenue for consumers and innovators to tap into the Internet economy," the lawmakers told Wheeler. Mimosa Networks expressed support for the lawmakers' appeal in a March 3 media release. In comments to the FCC last April, the ARRL told the FCC that Mimosa's Petition to permit unlicensed wireless broadband services in the 10.0-10.5 GHz band was "fatally flawed" and should be dismissed. The League told the FCC that, among other things, the Mimosa Petition is inconsistent with a US footnote in the domestic Table of Allocations, and that fact alone is sufficient reason for the Commission to quash Mimosa's request. The footnote prohibits all non-federal services in the 10-10.5 GHz band except for the Amateur and Amateur-Satellite services and the non-federal radiolocation service. The FCC "is not at liberty to ignore" the US footnote, the League said, and is obliged on that basis alone to dismiss the Petition, "because it hasn't the authority to grant it." 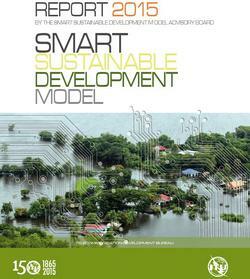 The use of Amateur Radio in disaster preparedness and response was among "best practices" cited in the International Telecommunication Union (ITU) Smart Sustainable Development Model Report for 2015. International Amateur Radio Union (IARU) President Tim Ellam, VE6SH/G4HUA, is a member of the Smart Sustainable Development Model Advisory Board, which prepared the report, published in January. The IARU is an ITU sector member. "I strongly believe that telecommunications and [information and communication technologies] are critical to saving lives as well as integrating communities and countries into the global economy, particularly as we enter the post-2015 development era," ITU Telecommunication Development Bureau Director Brahima Sanou said in the preface to the report, which deemed Amateur Radio operators "well suited to respond in times of crisis." "The resource of the Amateur Radio Service should continue to be utilized as new technologies are developed," the report said. "However, the best asset the Amateur Radio Service brings to emergency communications transcends technology. It provides skilled people 'on the ground' who can communicate using whatever technology is available." The report cited trained volunteers and existing allocated spectrum as Amateur Radio's primary resources. "Amateur Radio services can be used in any area with an active population of radio amateurs, and is uniquely suited to situations in which other communication networks have been disrupted," the report said, noting that Amateur Radio "involves a community-driven response to disasters." Read more. Following successful vibration and thermal/vacuum testing, AMSAT-NA's Fox-1A CubeSat now sits in a clean environment awaiting launch, said AMSAT Vice-President-Engineering Jerry Buxton, N0JY. Fox-1A completed its Mission Readiness Review at Cal Poly in San Luis Obispo, California, on February 24 before a review board of Cal Poly and NASA representatives, he said, adding that Fox-1A delivery and integration has been set for March 25. "From there, we won't see her again, but certainly look forward to hearing from her again," Buxton said. Fox-1A will include a Mode B (U/V) FM transponder and capabilities similar to the AO-51 satellite, which went dark in late 2011. The first phase of the Fox series 1-Unit CubeSats will allow simple ground stations using handheld transceivers and simple dual-band antennas to make contacts. The Fox-1 CubeSats will also be able to transmit continuous telemetry during normal transponder operation. Fox-1A is scheduled to launch in late August from Vandenberg Air Force Base in California, as part of the NASA Educational Launch of Nanosatellites (ELaNa) program, which offers free launches to educational entities and encourages science missions. Fox-1A will host a Penn State student experiment with micro-electromechanical systems (MEMS). Elsewhere, AMSAT and University of Iowa have agreed to include the University's High Energy Radiation CubeSat Instrument (HERCI) radiation-mapping experiment on the Fox-1D CubeSat. "HERCI is intended to provide a mapping of radiation in a low-Earth orbit," said Don Kirchner, KD0L, a University of Iowa research engineer. "This is of scientific interest for planning CubeSat test flights for low-energy X-ray detectors." Don Kirchner, KD0L, of the University of Iowa. The University of Iowa's history in spaceflight research dates back to the earliest satellites. As Kirchner put it, "HERCI can be considered a direct descendent of the first University of Iowa spaceflight instrument flown on Explorer I in 1958." He said the instrument is a senior design project by four UI electrical engineering students working under the supervision of the space physics engineering staff. 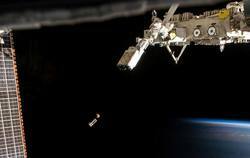 Lambda-Sat -- the first Greek CubeSat -- was released from the International Space Station on March 4, following its launch last summer, and its developers have invited radio amateurs around the world to listen for the Lambda-Sat signal and file reports. "You can help us to track and get the data from the Lambda-Sat while [it is] flying above areas not covered by our ground stations," the Lambda-Sat team said. The 1U CubeSat transmits AX.25-protocol UI packets at 1200 bps AFSK on 437.465 MHz. The 1 W transmitter identifies as KK6DFZ. Lambda-Sat was constructed entirely by young volunteers from Greece, who traveled to Silicon Valley to participate in this project. Members of the Lambda-Sat team contributed to the construction of the satellite system through their knowledge in robotics, electronics, software development, and telecommunications. "I want to motivate the youth in Greece to continue to dream," said the project's initiator, Periklis Papadopoulos, an aerospace engineering professor at San Jose State University. "My goal is to demonstrate the capabilities of young people in Greece." Lambda-Sat carries an experiment that measures the radiation effects on graphene in a low-Earth orbit environment. It also carries an Automatic Identification System (AIS) receiver for tracking all marine vessels within its footprint around the globe, employing an Iridium Short Burst Data (SBD) modem and making use of the Iridium constellation. An article on the Lambda-Sat project by Cyprus Amateur Radio Society (CARS) Secretary Nestor Jacovides, 5B4AHZ, has been posted on the CARS website. Only one radio amateur -- Samantha Cristoforetti, IZØUDF -- is now aboard the International Space Station, but five more astronauts -- including one from Denmark -- have passed the US Technician license exam, and three of them will be among those heading to the ISS this year and next. The newest licensees are Thomas Pesquet, KG5FYG; Jack Fischer, KG5FYH; David Saint-Jacques, KG5FYI; Kathleen Rubins, KG5FYJ, and Andreas Mogensen, KG5GCZ. Pesquet joined the European Space Agency (ESA) astronaut corps in 2009. Starting in November 2016 he will serve as a flight engineer on ISS Expeditions 50 and 51. Fischer was selected in 2009 as a member of the 20th NASA astronaut class, while Saint-Jacques, selected in 2009 by the Canadian Space Agency, has moved to Houston to join the 20th NASA astronaut class. Rubins, also selected in 2009 as a member of NASA's 20th astronaut class, will serve as a flight engineer for ISS Expeditions 48 and 49, which heads to the ISS in May 2016. 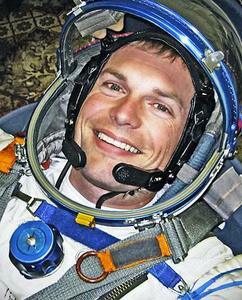 Mogensen, who also joined the ESA astronaut corps in 2009, has been training in Texas. When he heads to the ISS this September for a 10-day mission, he will become the first Danish astronaut to go into space. Accompanying Mogensen on the Soyuz spacecraft will be British soprano Sarah Brightman -- who has paid $52 million to be a "spaceflight participant" for 10 days -- and cosmonaut Sergei Volkov, RU3DIS. Later this month, NASA astronaut Scott Kelly and Russian cosmonauts Mikhail Kornienko, RN3BF, and Gennady Padalka, RN3DT, will head to the ISS, and Kelly and Kornienko will remain onboard for 1 year -- the longest space mission ever assigned to a NASA astronaut. Cristoforetti will head back to Earth in May, after Kjell Lindgren, KO5MOS; Oleg Kononenko, RN3DX, and Kimiya Yui arrive at the ISS as part of a scheduled crew rotation. Read more. Director Frank Butler, W4RH, is the recipient of the Birmingham (Alabama) Amateur Radio Club's 2015 Citizenship Award, the club's highest honor. The award recognizes outstanding service, unselfish devotion, and contributions to the club, the community, and Amateur Radio. The recipient is selected by the club's president and the two past award recipients. Butler, of Fort Walton Beach, Florida, retired in 2008 after 50 years of elected service to the ARRL. He served as Southeastern Division Director from 1980 until 2008. Before joining the ARRL Board, Butler served briefly as the Division's Vice Director, and he was a Section Communications Manager in Florida from 1957 until 1979. He was honored at the 2015 BirmingHAMfest. Cady Award winner Ajay Poddar, AC2KG. Microwave scientists this year, and the third in 3 years. 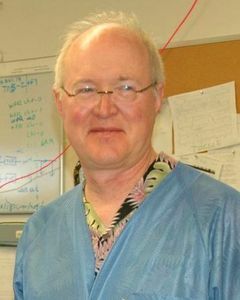 Synergy Chairman Ulrich Rohde, N1UL (ex-KA2WEU), recently was named as the recipient of the IEEE's I. I. Rabi Award for 2015, and last year he won the C.B. Sawyer Memorial Award. "In the history of the IEEE, no company ever got all three possible awards in two consecutive years in this field," Rohde said. 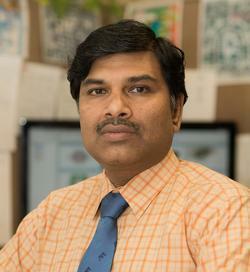 In his current position, Poddar is responsible for the design and development of a host of frequency-generating components and signal-processing modules that hold performance records. Poddar has received more than a dozen awards for his scientific contributions and technological innovations, holds several dozen patents, and has published more than 200 scientific papers. Poddar and Rohde will be honored at the 2015 Joint Conference of the IEEE International Frequency Control Symposium and European Frequency and Time Forum, held April 12-16 in Denver. Longtime ARRL Southeastern Division Assistant Director Charles I. 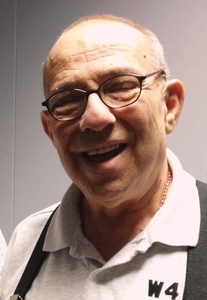 "Chuck" Baer, W4ROA, of Sunrise, Florida, died March 7 after a lengthy illness. He was 74. 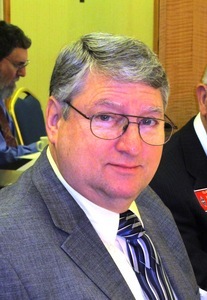 An ARRL member, Baer had served three ARRL Southeastern Division directors over the years. "Chuck and I have worked together for over 30 years with local ARRL affairs," said ARRL Southern Florida Section Manager Jeff Beals, WA4AW. "He was very active in the Broward County Amateur Radio community." Originally licensed KN9TVA in 1959 when he was 17, Baer worked at Allied Radio in Chicago before moving to South Florida to work for Motorola at the company's Plantation manufacturing facility. "He led the team that produced the Amateur Radio gear for the Space Shuttle program," said Beals. "Chuck was a founding member of the Motorola Amateur Radio Club W4MOT and served as repeater trustee for many years." Baer retired from Motorola after nearly 3 decades of service. Baer was a member of the South Florida DX Association, the Broward Amateur Radio Club, the Palmetto Amateur Radio Club, and the ARRL A-1 Operators Club. 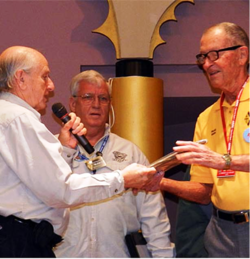 He served as an ARRL Official Observer for more than 50 years in Illinois and Florida. Yasme Foundation Elects Two Directors: The Yasme Foundation Board of Directors has announced the election of Ken Claerbout, K4ZW, and Hans Blondeel Timmerman, PB2T, to the Board, effective with the Foundation's upcoming Annual Meeting in Visalia, California. The action brings the number of directors to nine. The Yasme Foundation is a not-for-profit corporation organized to conduct scientific and educational projects related to Amateur Radio, including DXing and the introduction and promotion of Amateur Radio in developing countries. Tad Cook, K7RA, Seattle, reports: For the second week in a row, average daily sunspot numbers were down. According to ARRL Propagation Bulletins 6-11, the average sunspot numbers were 139, 81.6, 54.6, 59, and 54.1, respectively. Over the past week the number was all the way down to 32. On the other hand, for the second week in a row, average daily solar flux trended upward. Average daily solar flux numbers reported in ARRL Propagation Bulletins 6-11 were 151.1, 144.1, 121.4, 116.3, 122.9, and 127.8, respectively. These averages cover the dates from January 29 through March 11. Predicted solar flux is 125 on March 12-15, 130 on March 16-18, 125 on March 19, 120 on March 20-21, 115 on March 22-23, 110 on March 24-27, and 115 on March 28-31. Solar flux then goes to a high of 125 on April 2-15 before again dropping to a low of 110 for April 20-23. Predicted planetary A index is 18, 30, 18 and 8 on March 12-15, then 20, 18, and 12 on March 16-18, 5 on March 19-21, then 15, 20 and 8 on March 22-24, 5 on March 25-26, then 15, 30, 25, 12, and 10 on March 27-31, then 8, 10, 15, 12, 18, and 12 on April 1-6, 8 on April 7-8, and 10 on April 9-10. Looking all the way out toward the end of the 45-day forecast, planetary A index for April 24 is expected to be 30. As you can see, forecasters predict active geomagnetic conditions similar to those seen as previous solar cycles have turned down. The current sunspot cycle peaked about 1 year ago. A photo caption in the story, "Amateur Radio Parity Act of 2015 Introduced in Congress," which appeared in The ARRL Letter of March 5, 2015, contained incorrect information. The caption should have said: US Rep Adam Kinzinger (R-IL) introduced "The Amateur Radio Parity Act of 2015" on March 4. "Just Ahead in Radiosport" in The ARRL Letter of March 5, 2015, contained incorrect dates for the Africa All-Mode International DX Contest. The contest will take place over the March 14-15 weekend.